The Chase Sapphire Reserve (CSR) may have been the most successful new card launch in the history of the market. Chase ran out of metal cards because the demand was so high during the first month of the card’s release. They didn’t even spend a ton of money on marketing it. It was the right product launched at the perfect time. But, is it the best premium travel card out there? Let’s take a look. The current sign up bonus on the card is 50,000 Ultimate Rewards (UR) points after spending $4,000 within the first 3 months. The highest offer the card has ever had was for 100,000 UR points that accompanied the launch of the card. With the current popularity of the card it is doubtful we will see an offer that high anytime soon. This product is available to you if you do not currently have any Sapphire card. This product is available to you if you have not received a new cardmember bonus for any Sapphire card in the past 24 months. If you have been approved for 5, or more, new lines of credit in the last 24 months then you will be automatically denied for this card. This includes new credit cards from any bank, as well as, personal loans etc. Redeem Chase Ultimate Rewards points in the Chase portal at 1.5 cents a piece versus 1.25 cents for other Chase premium cards. $300 annual travel credit that works on anything travel related, including flights. The membership comes with the best guesting policy for PP lounges out there. ALL people in your travel party get in with the cardholder. Decline the rental company’s collision insurance and charge the entire rental cost to your card. Coverage is primary and provides reimbursement up to $75,000 for theft and collision damage for rental cars in the U.S. and abroad. Enjoy special benefits at a variety of hand-selected top hotels and resorts worldwide such as complimentary room upgrades, early check-in and late check-out. You can be reimbursed for eligible items that the store won’t take back within 90 days of purchase. You get up to $500 per item, $1,000 per year. Extends the time period of the U.S. manufacturer’s warranty by an additional year. Only on eligible warranties of three years or less. The annual fee is $450 and it is not waived the first year. It is mostly offset by a $300 travel credit per cardmember year. Chase recently changed the travel credit reimbursement from calendar year to cardmember year so no more double dipping the first year. Ultimate Reward points are worth a minimum of 1.5 cents a piece when you use them in the Chase portal. They are valued at 2 cents a piece when you use them via transfer partners like Hyatt and United. The $450 annual fee is not waived so it brings the net return down to the ranged of $300-550. Note that this calculation does not include the travel credit in the equation so adjust the value accordingly. The Chase Sapphire Reserve is one of the most coveted cards on the market for a reason. The CSR comes with a plethora of perks and a good earning structure. It also increases the low end value of all of your Ultimate Rewards points from 1.25 cents to 1.5 cents per point. The Chase Sapphire Reserve used to be even more attractive before the offer dropped to 50,000 points and when the travel credit was per calendar year. Those two changes were worth another $1300 in value. If you spend a lot on travel purchases, including public transportation, Uber, Airbnb etc., then this is a good card to have in your wallet. Same goes for dining purchases. It is a great option for road warriors. It offers one more UR point per dollar for the travel and dining categories versus the Chase Sapphire Preferred. The only other card that offers as flexible of a 3x travel earning category is the Citi ThankYou Premier. You have to take into account that Citi ThankYou points are not as valuable as UR points. The Premier card also only earns 2 points per dollar on dining purchases. The $450 annual fee makes this a tough decision for some. The $300 annual travel credit reduces this cost but you still need to shell out $450 at the beginning of the cardmember year. The true annual fee cost depends on how you value the $300 credit. It is essentially an interest free loan to Chase Bank towards future purchases (which they also recoup swipe fees on). The annual travel credit also auto depletes which means you can not pick which items you pick to redeem it on. This is important because you may use it for items that you could have bought it at a discount. Uber is an example of this, you can usually buy Uber gift cards for 15-20% off. Should you discount the redemption if you could have made the purchase at a discount? That is something everyone needs to answer themselves. On the other hand if you use the subway everyday then you could load your card with $300 on day one and get the full value of the credit. The decision really comes down to if you get $150 to $200 in value out of the card to offset the annual fee. If you spend over $3000 in the travel and dining category per calendar year you will get a better return versus carrying the Chase Sapphire Preferred and it’s $95 annual fee. This is before even taking the perks of the CSR into consideration. The amount of perks the card comes with, the very lenient travel credit, and the earning structure make this a long term keeper for most, even with the large annual fee. The Chase Sapphire Reserve comes with a ton of perks, a nice sign up bonus, and a rewarding earning structure. While the annual fee is steep the perks and annual travel credit offset the cost. The travel category for the CSR is very liberal with it’s definition, which is rivaled only by the Citi ThankYou Premier. Other uber premium cards, American Express Platinum and Citi Prestige, do not come close with their travel categories. The Platinum card only rewards for flights purchased directly with airlines (5x) and the Prestige only offers earning on airlines and hotels (3x). Those cards do not include parking, ride share, public transportation, Airbnb etc. in their travel category like the CSR does. For most people in the travel world the CSR is one of the best cards on the market and probably the best premium card out there. We have labeled it as a long term keeper but make sure to crunch the numbers yourself and make sure it works for you. Let us know in the comments if you have the card. Do you plan on keeping it past the first year. A card that comes with a lot of perks and a pretty rewarding earning structure. 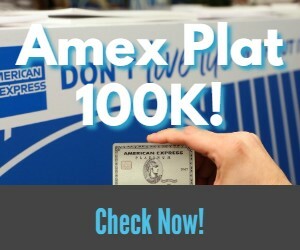 Next articleCan You Get the Best American Express Offers on Platinum/Gold Business Cards By Calling and Asking? only 50k bonus..pretty lame to me. Yeah the 100k offer was a lot more enticing. “Neither card includes gas stations, parking, ride share, Airbnb etc. like the CSR does.” The CSR includes gas stations under travel? Thank you! Looks like I got a little over zealous. Correcting that part now. Awesome Paul – glad you are getting the value out of it. With their new rules I think a lot of people will have to go the upgrade route to get it. Was fortunate to apply/get the CSR right after slipping back under the 5/24 bar and shortly before they reduced the 100K-point signup bonus. Love the 3 points/dollar at restaurants as well as the broad applicability of the $300 travel credit. My plan was to keep the CSR long-term and to get the Sapphire Preferred for periodic 50K-point bonuses. 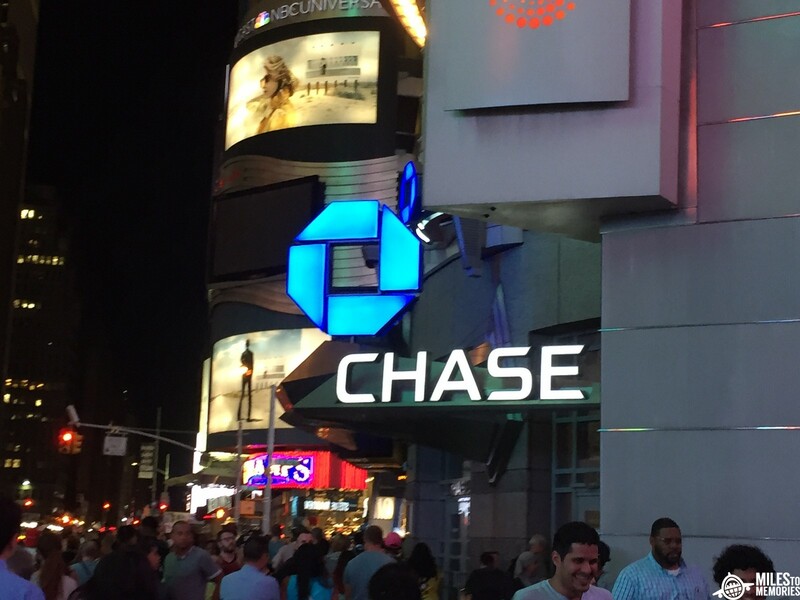 Alas, Chase got wise and now allows cardholders only one Sapphire card at a time. Ah, well. Yeah that was a tough rule change. I am glad you were able to get it at the 100k level, and a little jealous haha. I have read some comments that, when cancelling, Chase pro-rates the annual cost, and therefore a strategy could be cancelling early next year after receiving the $300 travel credit. Do you have any confirmation on this? I think they changed their rules about a year ago that you only have 30 days to get an annual fee refund. I think if you downgraded you would get a prorated AF refund but I wouldn’t count on either at this point. …first month of ITS release. I love my CSR card and use it all the time for dining and travel. The only big disappointment is on the extended warranty service. I got the card when it first came out so it’s already been over a year. With American Express (SPG, Business SPG, Platinum card) i’ve had several occasions to use the extended warranty service over the past 20 years and never had any problems and they are fairly quick to reimburse after sending all the paperwork. I bought an item (garden hose) that had a 1 year warranty and I bought it with my CSR card. Well, I submitted a warranty claim and it just sits in limbo for over 6 weeks without any answer. So the only big complaint I have so far is they don’t honor the extended warranty service. From now on, I’m going to stick with my AMEX cards to purchase electronics, and other items as I’ve NEVER had any issues with them on the extended warranty service. Good info – thanks Earl. Let us know if they end up getting back to you! The reference to lines of credit by way of personal loans, etc is Incorrect! Such debt is NOT considered in the calculation of 5/24. It is actually reported both ways so I added it just to be safe. Do you have personal experience with it? I know student loans do count. Mortgages, auto loans, and personal loans are murkier though so I am not 100% on that.